The festive vibrance of embroidered textiles is the natural show stealer within Kutch textiles, but the subtler, elegant outcome from the rhythmic clacking of Bhujodi’s Vankar family of weavers is not far behind in appeal. The Vankars or weavers of Kutch weave colorful threads on the loom, with the yarn coming from Bhujodi, Ludhiana, Rajasthan and Ahmedabad. Each piece is a labor of love, an arduous, solitary task requiring a devotion to the loom for days on end. The ‘Vankars’ are Meghwal migrants who migrated from Rajasthan 500 years ago. 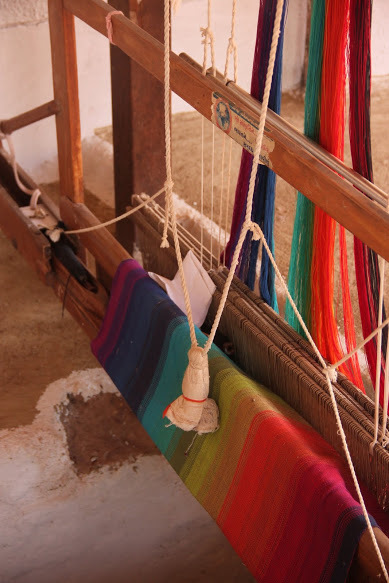 The weavers depended on the Rabaris for woollen fleece from sheep and on Ahirs for cotton and in exchange weaved colorful patterned shawls or dhablos for them. Apparently, it is the Ahir dhablo that was the design inspiration behind Vishram Valji’s award winning piece. While the laborious process of weaving is left to the men of the family, preparing the warp thread from yarn is the job of women. 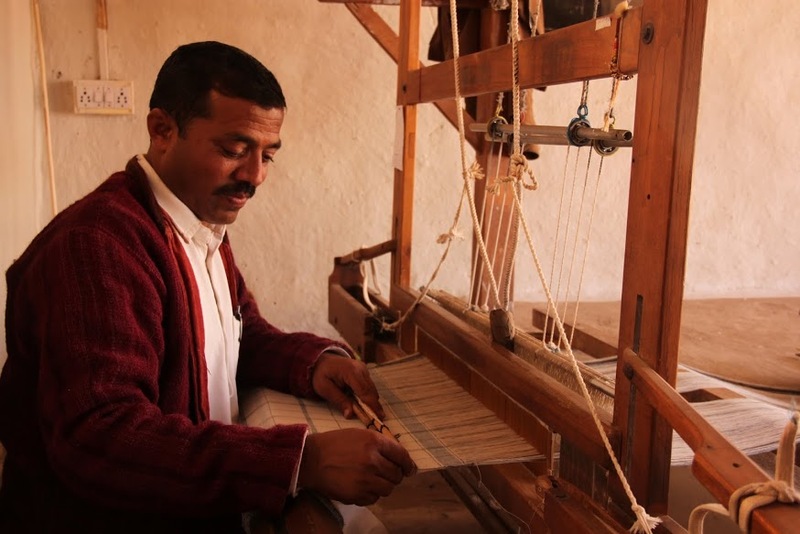 Master weaver Vishram Vankar Valji once worked on a shawl for months that eventually won him the Presidents award. 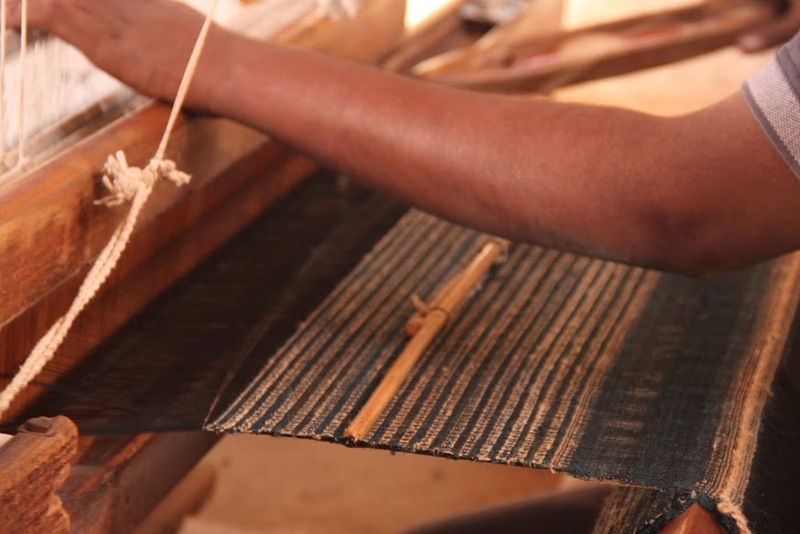 Traditionally weaving only wool on their looms, the Vankars have slowly begun to experiment with cotton, creating sarees that are yet to find a foothold in the marketplace, given their cost of production using the traditional methods. 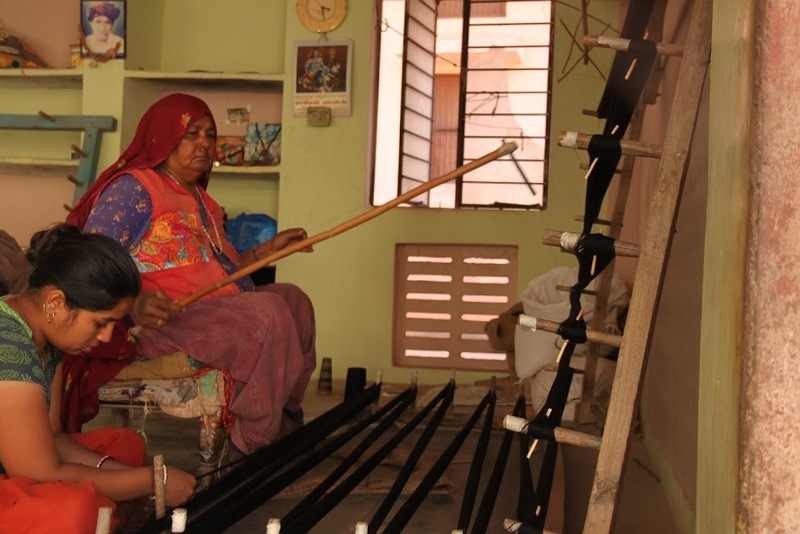 Today, there are 1200 weavers all across Kutch in 210 villages. The number of women involved in the preparatory and finishing processes is around 2400. Of the 80 looms in Bhujodi, the Vishramji family owns 35. The complete process of weaving is completed by 90 artisans under supervision and guidance from Vankar Vishram Valji and his sons. Weavers like Valji are incessantly working towards promoting and teaching the handloom craft as a viable economic opportunity. Posted in Crafts, Embroidery, Gujarat, Jaypore, kutch, People of India, Textiles, Weaving and tagged Award, Bhuj, Bhujodi, Gujarat, India, Kutch, Loom, Shyamji Bhai, Tribes, Vankars, Weaving, Wool. Bookmark the permalink.